A visit to any one of the islands floating on the azure waters of the indian Ocean is bound to quench your thirst for a little peace and quiet But these island jewels hold so much more than a hotel on a beach and a couple of watersports. Whether you’re looking for giant coconuts or giant tortoises; velvet jungle, powder white beaches, traditional cuisine or getting closer to the wildlife, there’s something to suit every taste and budget. 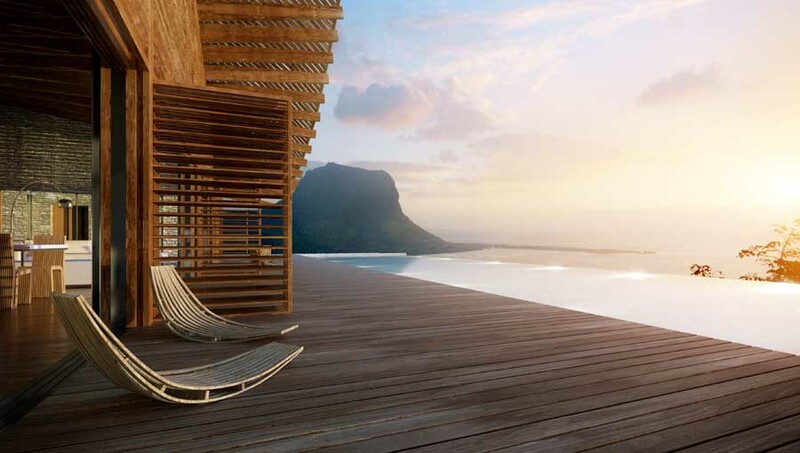 Relax and enjoy some ‘me time’ at a fabulous resort in Mauritius. Known for their extremely high levels of luxury and service, Mauritian resorts also offer an unparalleled range of activities in their kids’ club for both kids and teens, giving you time to head to the spa, play golf – or just simply be. Bliss. If a spot of picture perfect privacy is what you’re after then look no further than the Maldives. 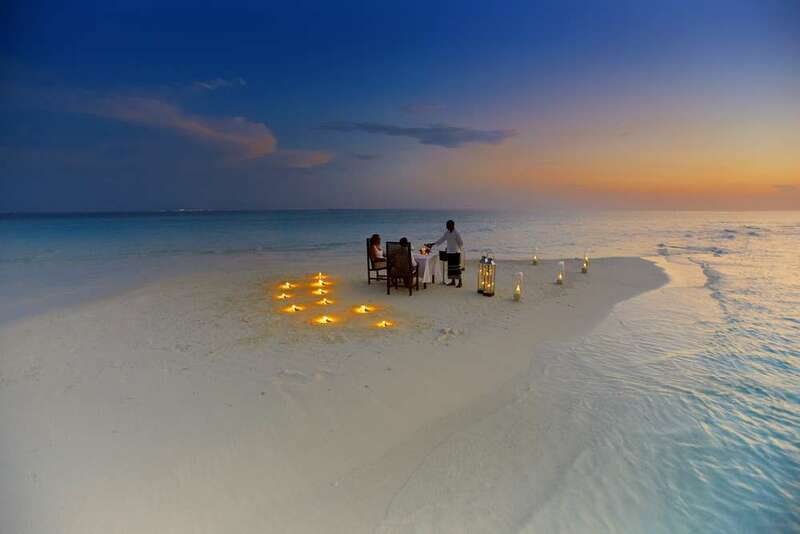 Here you can enjoy a five course candle-lit dinner , like that on Baros maldives where a secluded beach spot is set up for your dining experience, complete with a clear starry sky, cool sea breeze, crashing waves and a butler service. A well-loved Mauritian tradition is the table d’hote, a hearty meal of Creole delicacies such as honey glazed lamb or spicy wild boar curry. These dishes are often served with a soulful side of Sega, a lively music style brought to the island by African slaves centuries ago. So why not put on your dancing shoes and after a delicious Mauritian meal, frolic the right away. For those who fancy a change from the slow motion ambience of Mahe’s beaches, a swim with whale sharks may be for you. Here, these placid beasts are well protected and sightings are most frequent between August and November. Well, it’s not every day you can say you went for a swim with the ocean’s largest fish. Le Morne is one of the most iconic hikes on the island of Mauritius, with breathtaking views of the entire island. It is a UNESCO World Heritage Site in recognition of its function as a refuge for freed slaves in the 19th and 20th century. Take a walk through history and an insight into Creole culture, with a hike to Le Morne. Kick off your shoes, grab a book and prepare yourself for the ultimate tropical island getaway, complete with crystal clear waters, a slow pace of life and serene privacy. Both the Seychelles and the Maldives boast superb private islands where you can dive, kayak and snorkel to your heart’s content. As well as being home to giant tortoises and flying foxes, the Seychelles is known for its island of Praslin, which is home to Vallee de Mai, nicknamed ‘The Garden of Eden’. This is an idyllic sanctuary or unique flora and fauna, including the wild Coco de Mer which is the world’s largest coconut – weighing up to 20 kilogrammes! 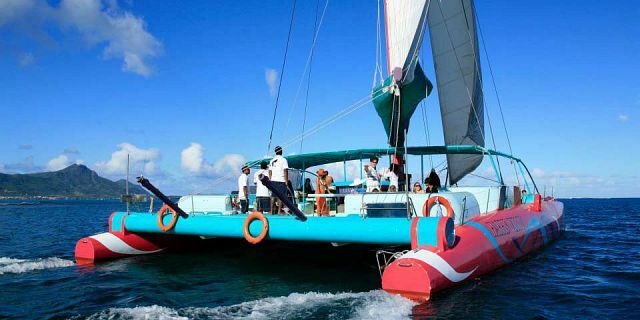 Board a catamaran and set sail to the islands. Anchor in a calm and secluded bay or crystal clear lagoon for a swim or snorkel. Look out for the sea birds nesting on unspoilt sands and the 2,000 species of fish that nibble at the colourful coral gardens below. Hire a bike and cycle your way around La Digue, one of the most idyllic beaches in the world. With its unique pink powdered sand and towering granite boulders it makes for the perfect backdrop to laze away the day. The Maldives is not only known for its palm fringed silky sand beaches, but for the thrill of seeing giant manta rays floating over colourful coral reefs. You can dive with these unusual creatures and it definitely makes for a blissfully interesting afternoon.